Realtime Prices, Sentiment, Tweets, Scuttles, News and discussions on Apple Inc. Apple, Inc. designs, manufactures, and markets mobile communication and media devices, personal computers, portable digital music players, and sells a variety of related software, services, peripherals, networking solutions, and third-party digital content and applications. Its products and services include iPhone, iPad, iPod, Mac, iPod, Apple TV, a portfolio of consumer and professional software applications, the iOS and OS X operating systems, iCloud, and accessories, service and support offerings. The company also sells and delivers digital content and applications through the iTunes Store, App Store, iBooks Store, and Mac App Store. It sells its products worldwide through its retail stores, online stores, and direct sales force and third-party cellular network carriers, wholesalers, retailers, and value-added resellers to the consumer and also sells third-party iPhone, iPad, Mac and iPod compatible products, including application software, and accessories, through its online and retail stores. The company was founded by Steven Paul Jobs, Steve Wozniak and Ronald Gerald Wayne on April 1, 1976 and is headquartered in Cupertino, CA. 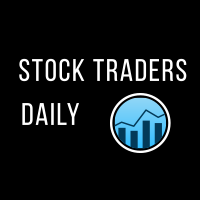 For a limited time get your FREE Stock Traders Daily report on AAPL. Get it now.